Welcome back to yet another gallery of my cosplay. 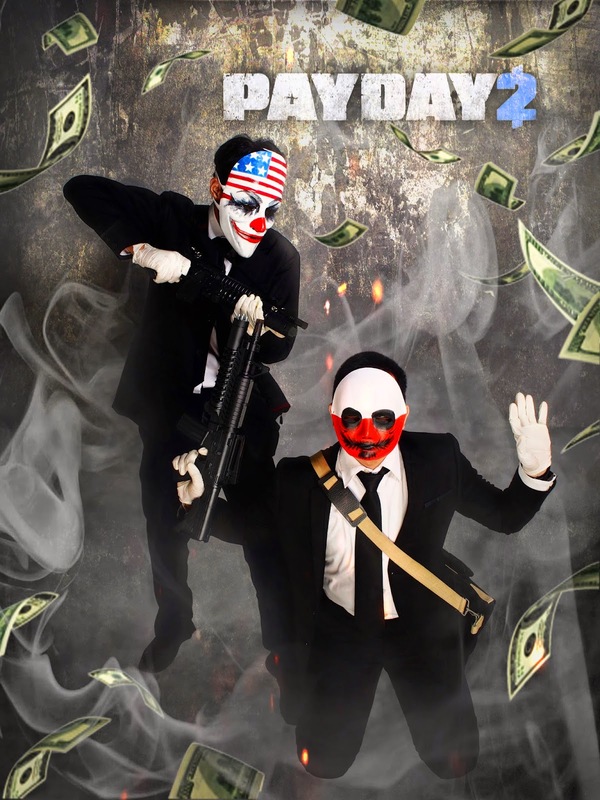 For the second day of Animangaki, I've cosplayed as Dallas from Payday 2, along with my friend who cosplayed as Wolf. As buying the original mask from the internet is kinda expensive, I've made my own mask by using the famous Guy Fawkes mask as a template. The result is surprisingly good, even if not 100% accurate. And for the guns, just a cheap toy gun bought at the last minute. Don in some business suits and tadaa, we have two man ready for some heist. 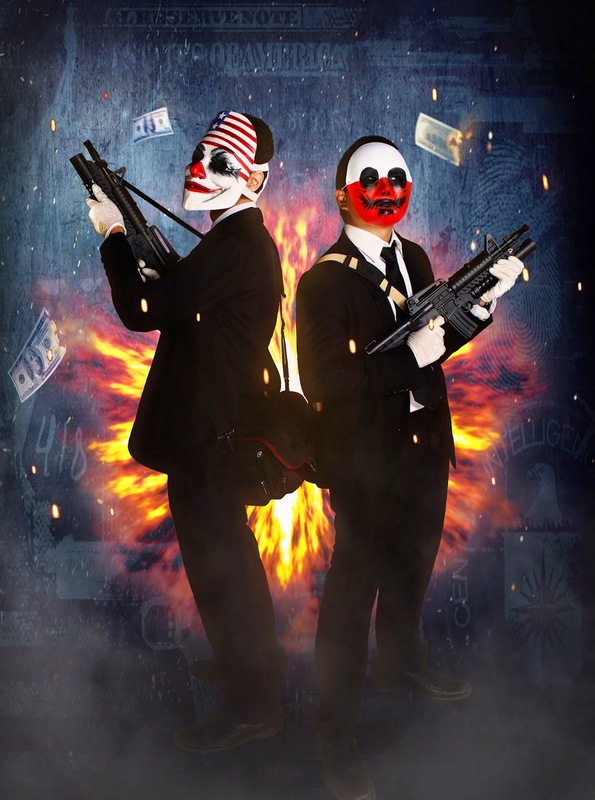 It's payday guys. Time to get rich.